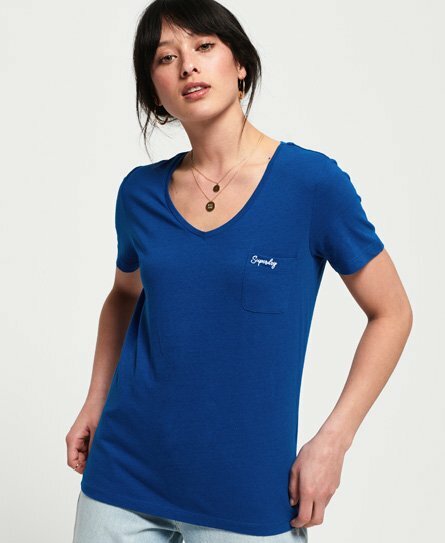 Superdry women's Essential vee t-shirt from the Orange Label range. Update your wardrobe this season with the Essential vee t-shirt. This lightweight t-shirt features a vee neck, short sleeves and a small chest pocket. Finished with an embroidered Superdry logo on the pocket and a Superdry logo tab on the hem.